Gaston Vilaire’s new book “The Eve of Paramour” is a profound dissertation about how the fragmented Haitian people face their homeland’s disintegration. Recent release “The Eve of Paramour” from Page Publishing author Gaston Vilaire expertly discusses the mythical and romantic exercises of the Haitian people and how they deal with the growing desolation and nostalgia of their common identity. 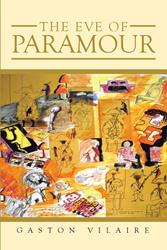 Gaston Vilaire, a migrant from Jérémie, Haiti, who has worked in research laboratories at MIT and University of Pennsylvania, has written articles on Haitian painting and social criticism, served on the board of several Haitian cultural and charitable organizations, and became a founding member of Organization Lavalas Philadelfi, has completed his new book “The Eve of Paramour”: a scholarly account that that presents a phenomenology of questions about metaphysics and its influence on native minds amidst a progressing society. Published by New York City-based Page Publishing, Gaston Vilaire’s thought-provoking narrative not only confines itself to the Haitian mindset, but it also extends to all in general, as it finds universality in crisis brought about by wars, dictators, and disasters. Readers who wish to experience this powerful work can purchase“The Eve of Paramour” at bookstores everywhere, or online at the Apple iTunes store, Amazon, Google Play, Kobo, or Barnes and Noble.